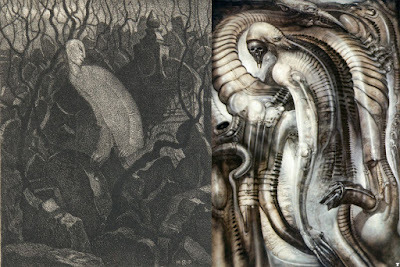 a) See: "At the Master's Grave" by Hugo Steiner Prag serves as a foundation for Giger's Mordor VII? 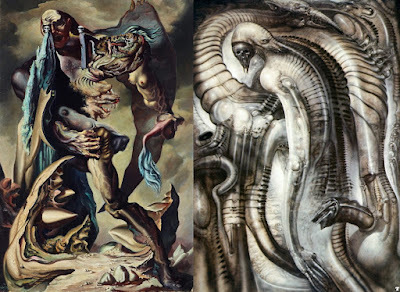 b) See: Comparisons to James Gleeson's The Sower. 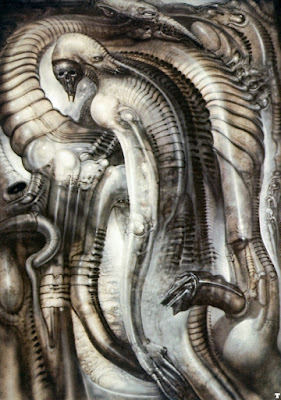 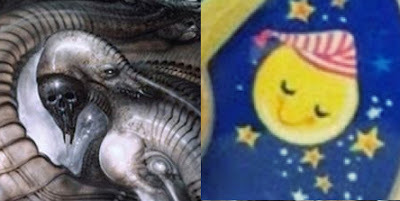 The painting that Giger biomechanised Steiner Prag's "At the master's Grave" with? 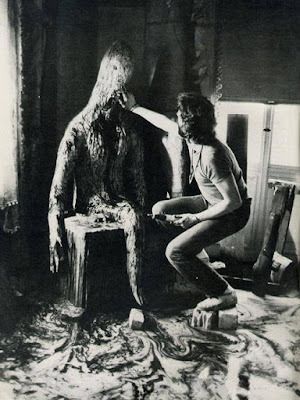 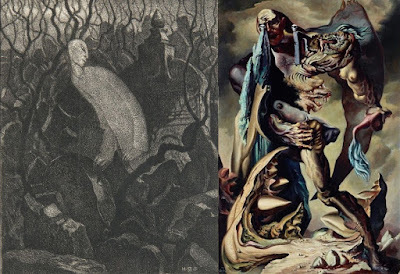 d) See: Comparing Steiner-Prag's "At the Master's Grave" to details from Gleeson's "The Sower"
f) See also: Did Mordor VII inspire the Carlo Rambaldi creature from Andrzej Zulawski's "Possession? I have a full sleeve of zenos and 2queens I think seeing for the first time this fantastic art am going to get up to speed with h r gigers workings...outstaning.